I create painted silk scarves and silk throws which fit all sizes. 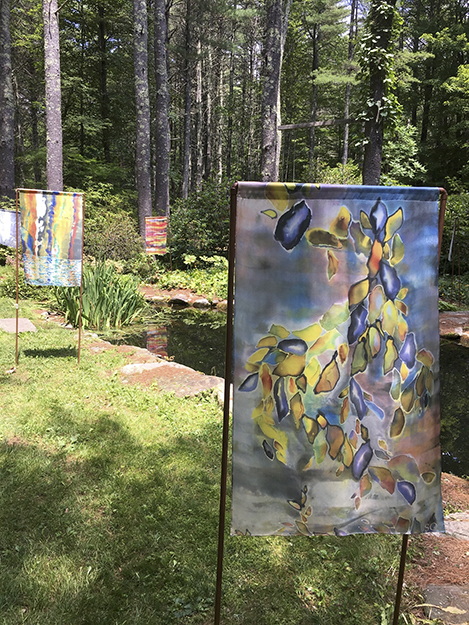 I create silk paintings for outdoor and indoor exhibits throughout New England. 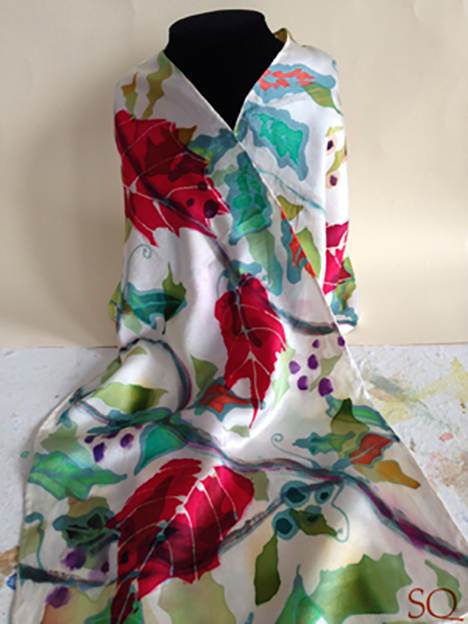 I work and teach silk painting with a group of very talented silk artists at Ten Pound Studio in Gloucester MA. I also create artwork at my own studio, Goose Cove Studio, in Annisquam, MA.